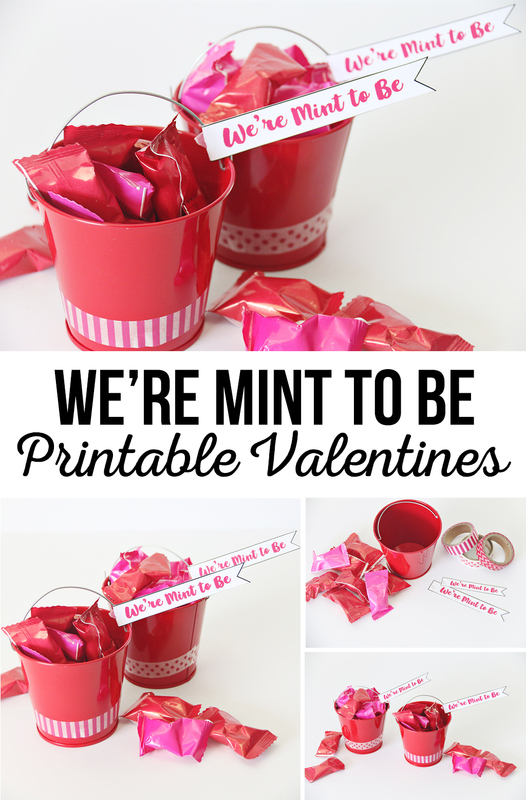 We’re Mint to Be Printable Valentines are the perfect Valentine gift idea for friends and neighbors. 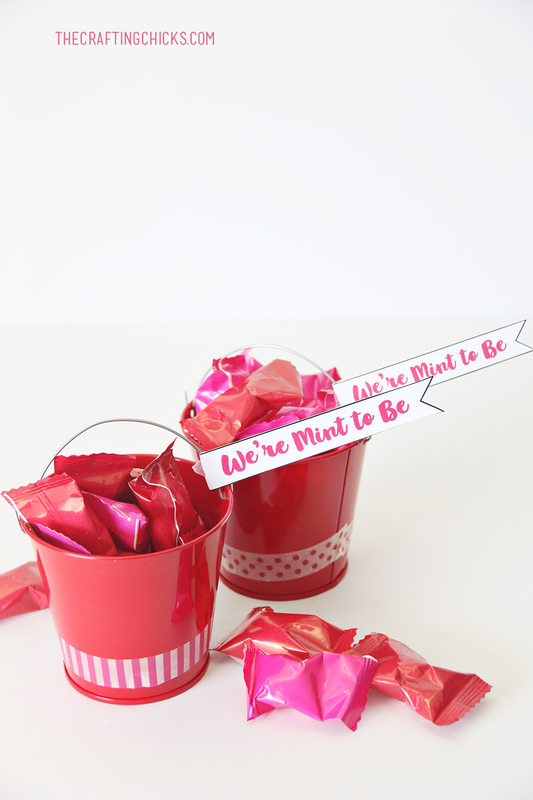 These adorable buckets filled with mints or gum will be a hit with young and young at heart. 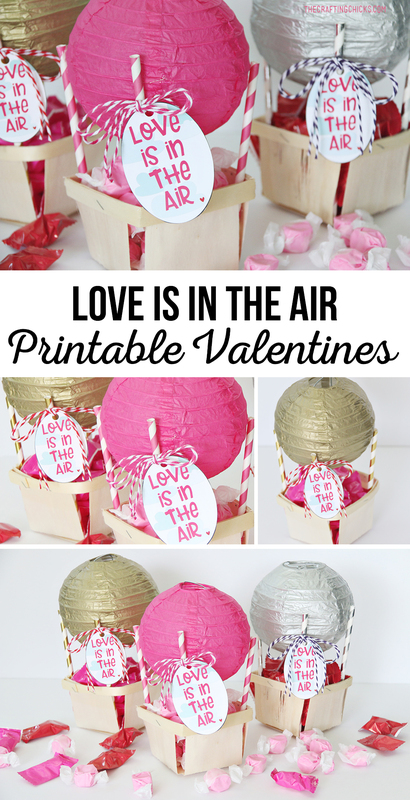 We love giving our friends a little gift or treat for Valentines Day. It’s the perfect way to show anyone close to you how much they mean. Valentines Day isn’t just for lovers in our house. It’s for everyone! 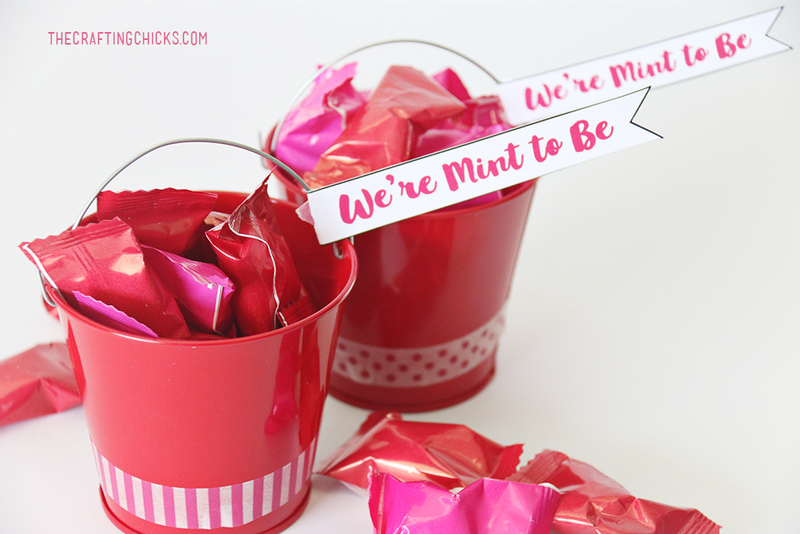 We found these adorable little buckets at Oriental Trading and knew they would make the perfect gift along with these yummy butter mints. This post contains affiliate links. We make a small percentage if you purchase through these links, but it will cost you nothing more. 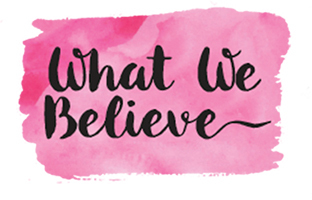 All printables are property of The Crafting Chicks, LLP. For personal non-commercial use. Do not alter or claim as your own. 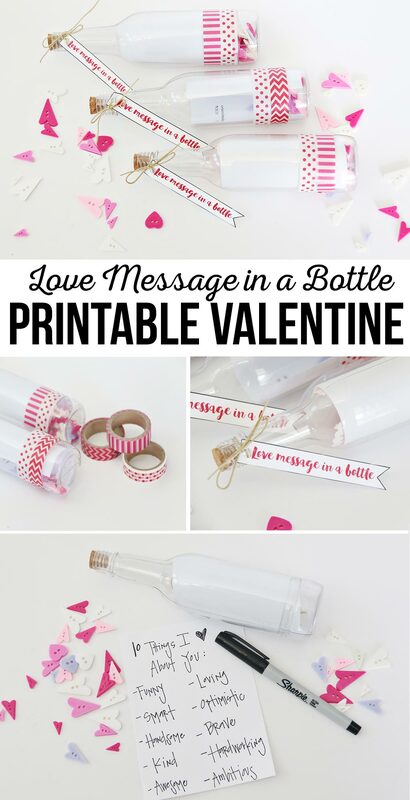 This gift idea is so simple to put together. 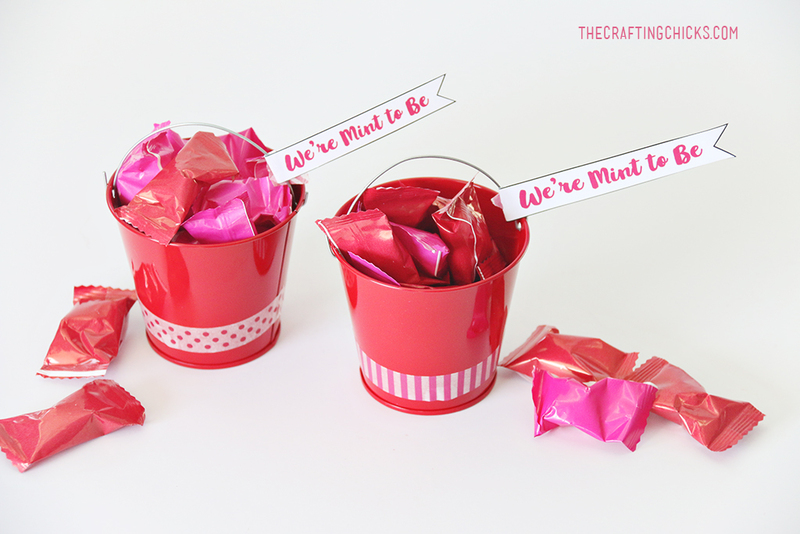 Just print out the Free Printable “We’re Mint to Be” Printable Valentine Tags on cardstock and cut out. You could also send these to your favorite copy store. 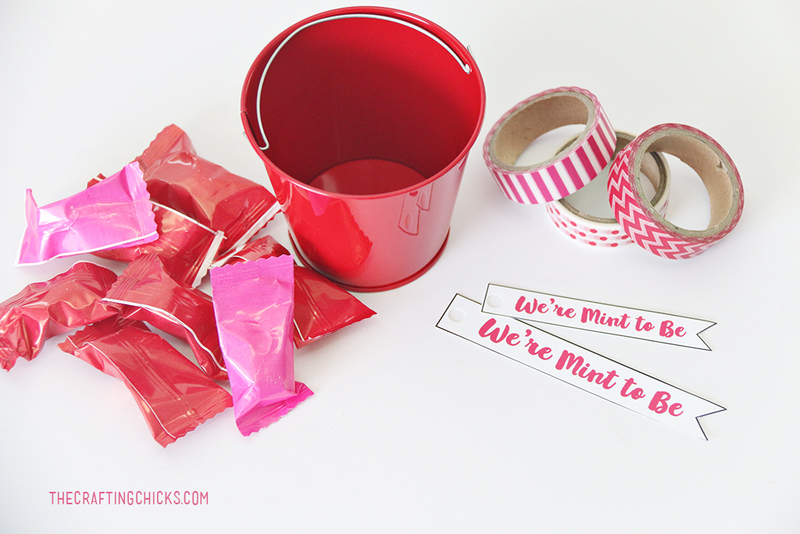 Next, decorate the Mini Red Favor Pails with some Pink Washi Tape. Then add in some Red and Pink wrapped Buttermints. You could also throw in some gum for gum lovers. And there you have it. 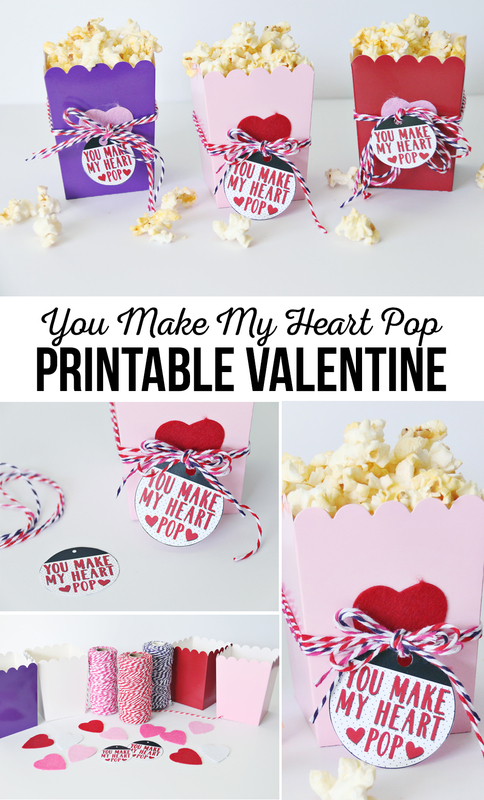 An adorable and quick Valentine’s Day gift idea!